To say Conor Swail (IRL) is at home at Thunderbird Showpark might be an understatement. 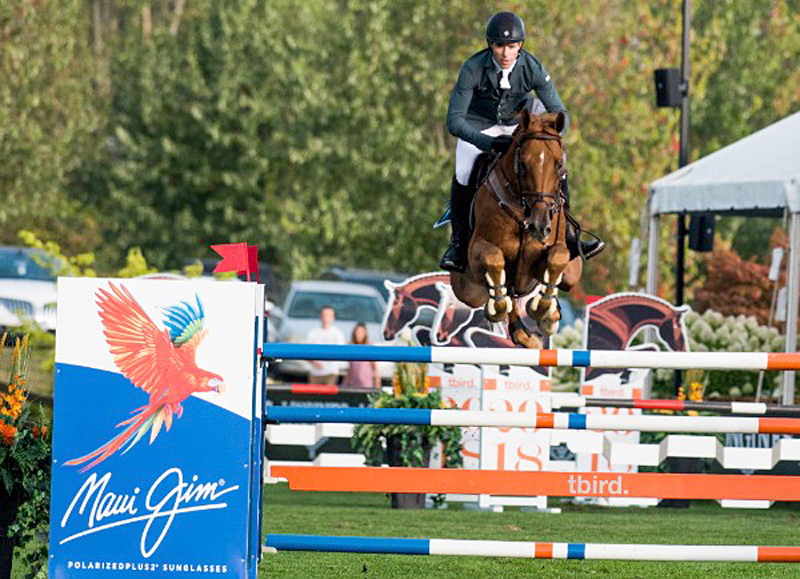 The defending champion of the Longines FEI Jumping World Cup™ Vancouver continued his winning ways at Langley by capturing the $75,000 CSI4*-W Maui Jim Welcome Stake Thursday with Rubens La Silla. The victory marks the Irishman’s fourth in fewer than two weeks at tbird. Catch wall-to-wall coverage from the Fort Grand Prix Ring on tbird LIVE, Friday through Sunday, and the week’s feature event, the Longines FEI Jumping World Cup™ Vancouver, exclusively on FEI.TV.